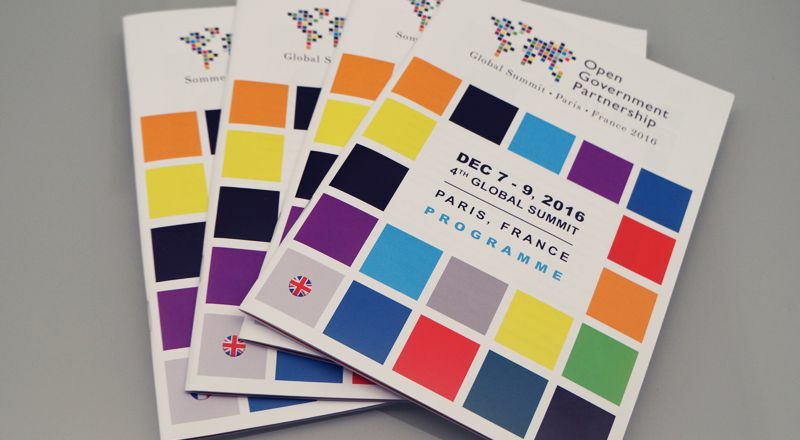 Next 7, 8 and 9 December, France hosts the 4th edition of the Open Government partnership (OGP) Summit as co-chair of the Partnership with the World Resource Institute. The OGP aims at the international level to promote transparency of public action and openness to new forms of consultation and citizen participation, strengthen public integrity and to use new technologies to strengthen democracy, promote innovation and stimulate progress. Since the partnership launched in 2011, more than 3,000 commitments to open government were taken by the 70 Member States. In Paris, the representatives of the Governments of the Member States, academia, civil society and international organizations will gather to exchange information about their experiences, good practices and progress on government opened around three major axes: transparency of public and economic life which is an essential condition of democracy, sustainable development with the commitment and mobilization of citizens that should enable progress in commitments for the planet and digital which should allow to circulate information and offer new ways to participate, control, act. In the spirit of collaboration of the OGP, the World Summit Program was “co-constructed” by government and civil society who were able, through a dedicated platform, make proposals for workshops, meeting or round tables. The Network for integrity, whose aim isto promote integrity and fight against corruption worldwide will be part to the Summit by bringing all of its members to present their project and officially launch its action on 9th December (international day against corruption).